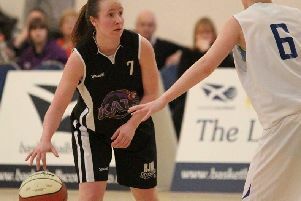 Caledonia Pride opened the new Women’s British Basketball League season with a courageous loss against Newcastle Eagles at The Pleasance on Sunday, but skipper Hannah Robb and coach Bart Sengers both spied encouraging signs for the future. Although Pride began last season with a shock victory over champions Nottingham Wildcats, a repeat was highly unlikely after financial cuts this summer resulted in the club losing most of its best players. Sengers’ youthful new team trailed Eagles by 21 points shortly before half-time, but a spirited third-quarter fightback reduced the gap to just four. The visitors eased away again to enter the final quarter ten points up, and their greater experience helped them see out an 86-74 victory. Tia Weledji was Pride’s star performer, contributing 16 points and ten rebounds, while Alix Henderson added 15 points plus seven assists. Pride are on the road this weekend when they play London Lions on Saturday. Meanwhile, City of Edinburgh Kings overcame an early scare as they opened their defence of the men’s Scottish Cup against Porthlethen Panthers at Portobello High. It was all-square after the first quarter and Panthers were only eight points adrift at half-time, but class told in the third period and the holders went on to win 91-59. Unbeaten Kings return to league business this Friday when 2017 champions Falkirk Fury visit. Last season’s Cup runners-up Boroughmuir Blaze joined Kings in the quarter-finals after scraping through 79-75 at Glasgow University. They now have a home tie next month against league champions St Mirren. Saints booked their place by thrashing Edinburgh Lions 106-62 in Paisley, while Edinburgh University and Heriot-Watt both bowed out. 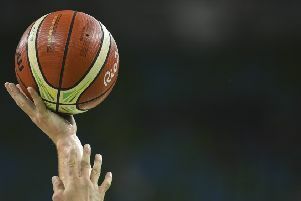 Edinburgh’s students lost 79-53 to Dunfermline Reign and Heriot-Watt were beaten 114-74 by Falkirk.